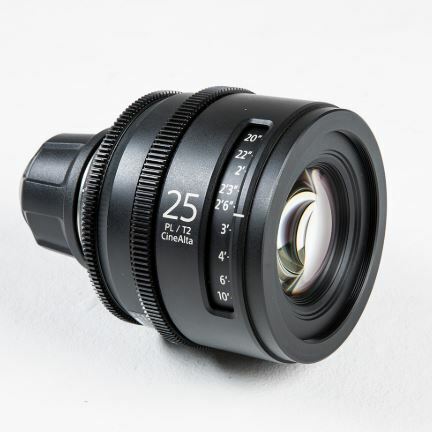 Introducing the Sony CineAlta 4K 25mm t2 prime lens. The CineAlta 4K Six Lens Kit includes the 20, 25, 35, 50, 85 and 135mm cine prime lenses from Sony. 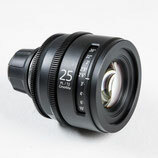 Each lens has a fast maximum aperture of T2, with a circular 9 blade iris. These lenses are designed for Sony's CineAlta 4K cameras.